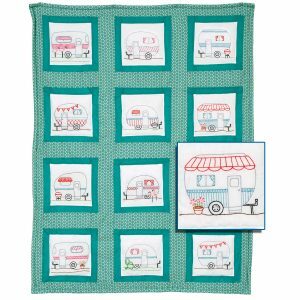 Each package contains one set of twelve – 9″ x 9″ quilt blocks of cotton/poly broadcloth. Approximate finished size: 48″ x 37″. Additional materials needed to complete: Backing, batting, hoop, needle, floss and thread.